Since 1997, Comfort First Heating & Cooling, Inc. is your best choice for repair, installation, and service in homes and buildings just like yours in the Clinton, Eaton & Ingham counties. We take special pride in the craftsmen we train and employ--a fact you'll see in the reviews below. It's also noticeable immediately in the attitude and integrity our technicians bring to your job site. Our entire company works hard to make your experience with us hassle-free and enjoyable. You can also be assured that Comfort First Heating & Cooling, Inc. stands behind the work we do as well as complies with all local codes. This is why, as you can see by the map and reviews below, we are rated so highly for Heating, Cooling and Home Insulation in Lansing MI. Call us today at (517) 323-3314! 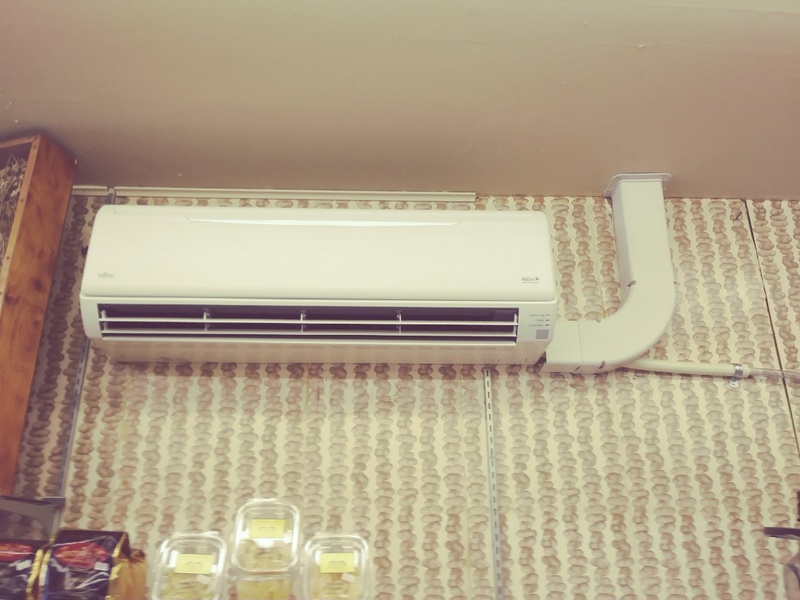 We had Comfort First install a new A.C. unit for our house which never had central air. We greatly appreciated all the work the technician (Jeff) did and when it looked like the line through the attic space could not go the way he had anticipated, he informed us and found a work around very quickly. Afterwards, he took the time to show us each part and gave us some tips to keep in mind for taking care of the unit. 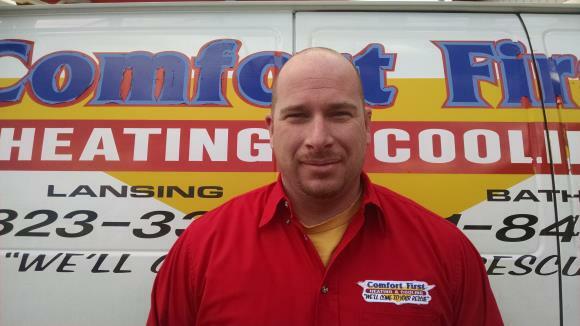 After speaking with numerous HVAC Contracting companies I had the luck to have Brad Wilette from Comfort First return my Emergency Call. It only took a few minutes to notice that I had moved up a few levels in knowledge and customer service. I Locked In!. Jeff Butler the Installation Tech was Efficient and Personable. My Wife was Elated and that doesn't happen often! Very knowledgeable staff who went above and beyond for us. Prompt staff, who worked beyond normal hours to get the Jon Done. Highly recommended them. The installers were efficient, experienced, and polite. 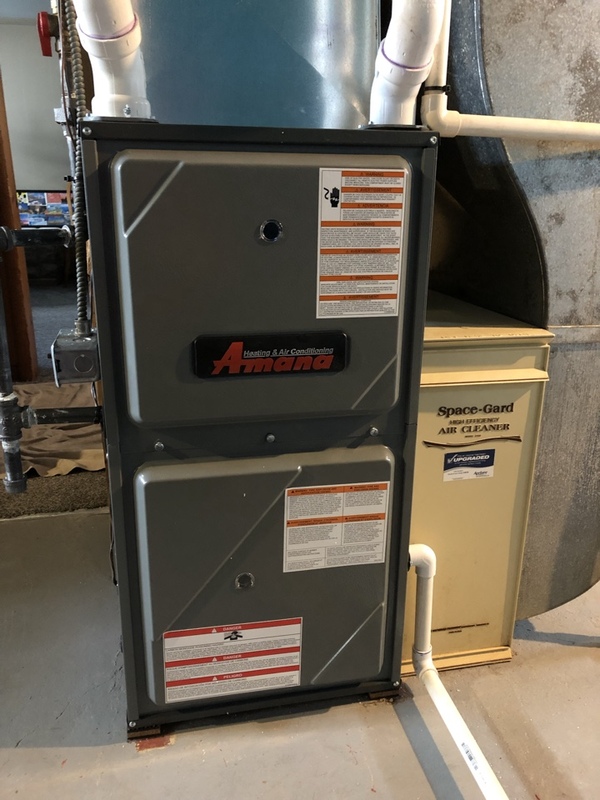 I had a few different HVAC shops in, but only Comfort First would do the furnace, AC, water heater, and fireplace conversion. Josh really knew his stuff and identified problems in our house that the new equipment will address. Josh is a fantastic consultant. He explained everything in detail and walked me through the process of putting in a new furnace/AC during the first walkthrough. He has a great attitude and made things very easy to understand. I received lower quotes but decided to go with Comfort First because of the great customer service that I have received so far! Was told it was a Thursday, Friday install. On day 2, half way thru day.....Was maybe half done. Called and talked to Brad about someone finishing up on Saturday. I had stayed over first day and had plans the second day. He told me no one was available, so I had to forfeit $150 concert ticket I bought to stay after hours the second day. My backroom where all the candy is stored was so hot and humid, I didn't think it would last the weekend. Still had to come back Tuesday and finish up. I think for commercial installs an extra day should be set aside. Also.......Nate was wonderful to work with. His co-worker......not so much. He didn't seem to like the fact that we were open for business while they worked. Sometimes seemed agitated about it and had quite a temper with several things. Even had a customer make a comment about his "surly" attitude. He was rude to me on several occasions about having to lock the door or plugging the hole in the wall, so critters couldn't come in. He made the install experience not the best experience. I think the service was great. It seems like he done a great job even with the trouble that turned up with the thermostat not working right. He finely got things working. No air conditioning on the hottest weekend of the year. Josh called us back as soon as possible. They had someone out to check, in a couple of days. Great communication, setting up repair visit, diagnosis, and options for repair, or replacement. Appreciate their honesty and the timely service we have had now and in the past. Good experience...workers were friendly and worked quietly...work area left neat. The guys worked very hard and were very conscious of their surroundings. They took on the extra work with no complaints and did it with good workmanship. I appreciate the time they took to correct some minor things that they found and to go over the equipment with me and my wife. Plus they were nice to my dog! I contacted Comfort First to do a comprehensive home analysis. Wow!! What a wise move to have them do it. 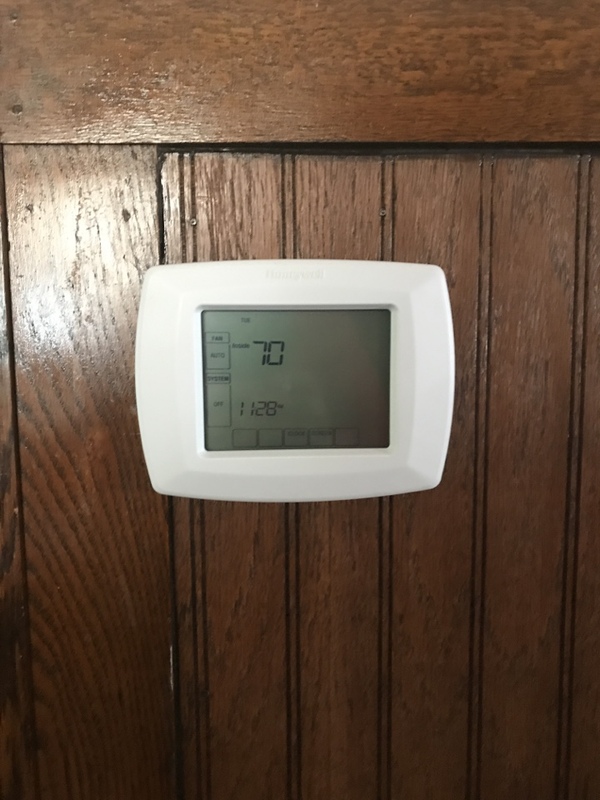 I learned a LOT and was told what not to do to increase the efficiency of my home's heating and cooling. And any work done will apply to Consumers Energy rebates! And they complete the forms! I am waiting for my estimate and will GLADLY have them do the work. Josh was a pleasure to work work!! He explained everything to me in great detail and even told me I wouldn't gain any return on investment by replacing my windows or having exterior walls insulated. 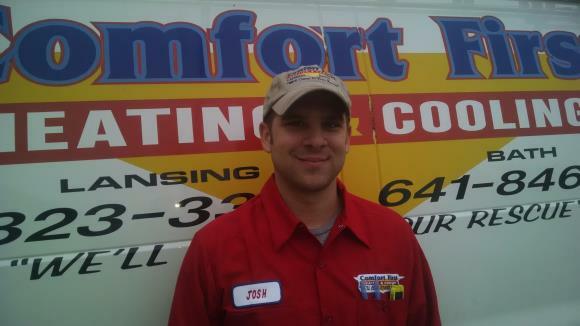 Thank you Josh and Comfort First. 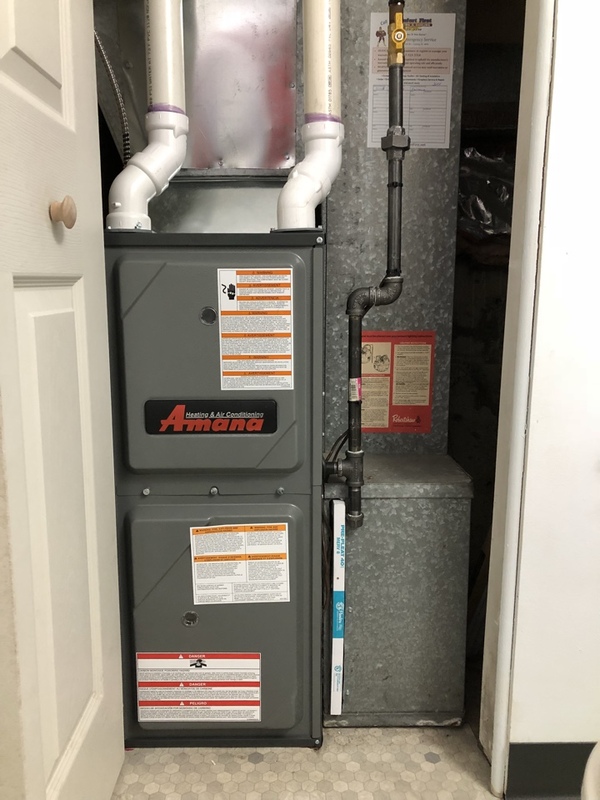 Installed new Amana high efficiency furnace. Added new gas piping and installed a beautiful new gas log set and fireplace door into an old wood burning fireplace. 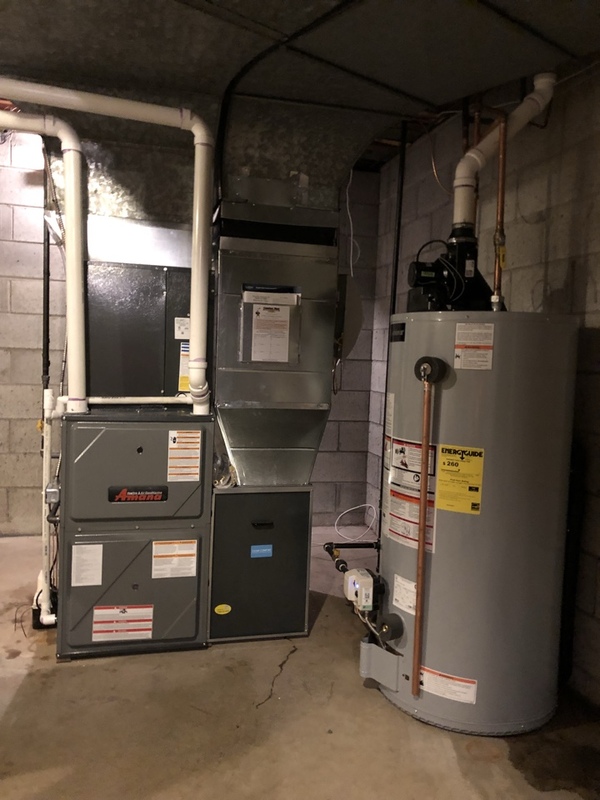 Installed new furnace air conditioner humidifier and water heater. 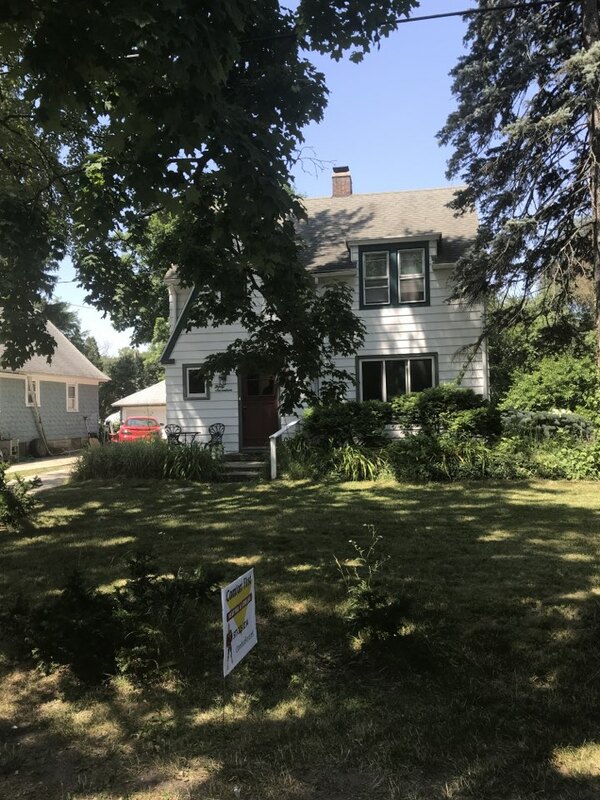 High efficiency air conditioner replacement in Lansing, Michigan to help with a hot upstairs in a cape cod style home. 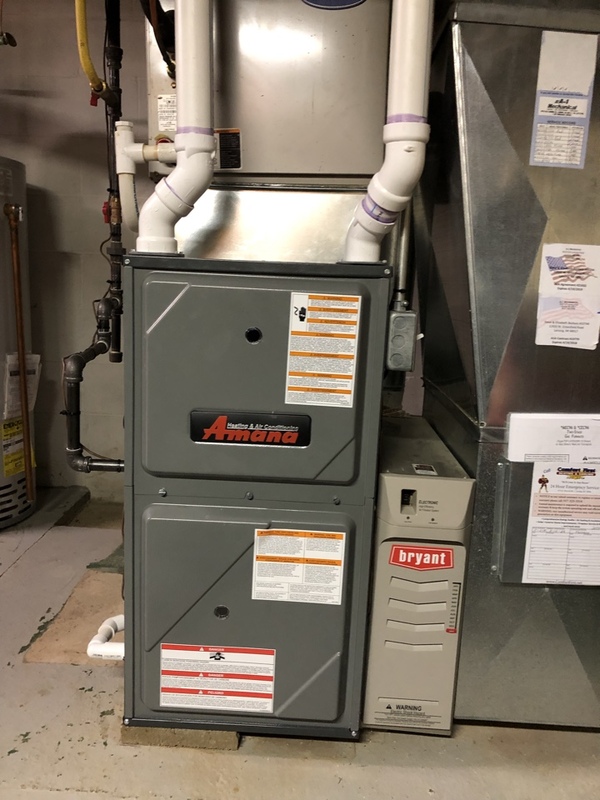 New high efficiency furnace and air conditioner installation with a complete 10 year warranty and excellent financing. 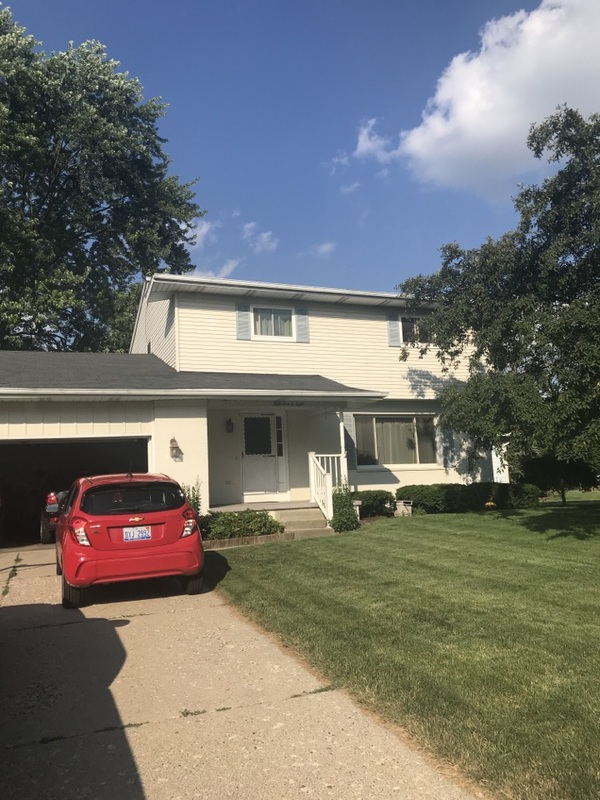 Adding central air conditioning and a replacement water heater in Lansing. New Energi Air Elite 2.5 ton 15 seer air conditioner. 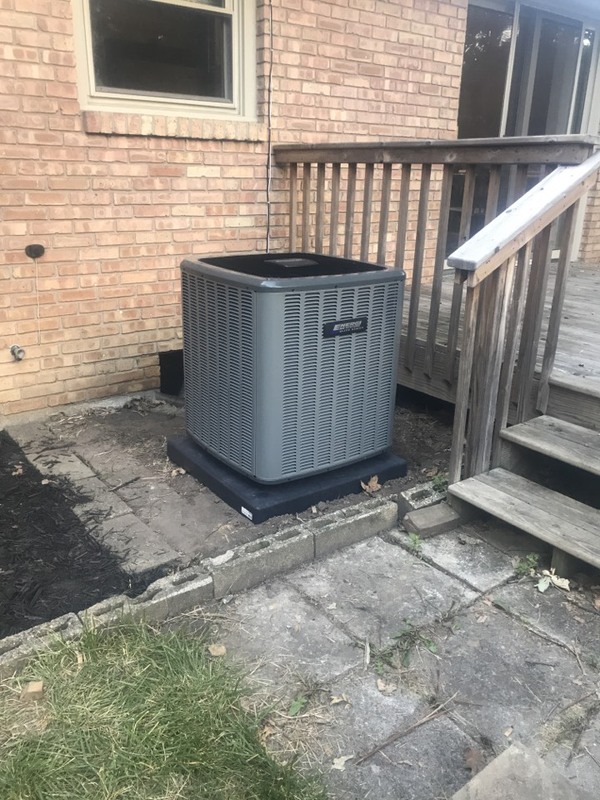 Installed a new 2 ton Air Conditioning unit. 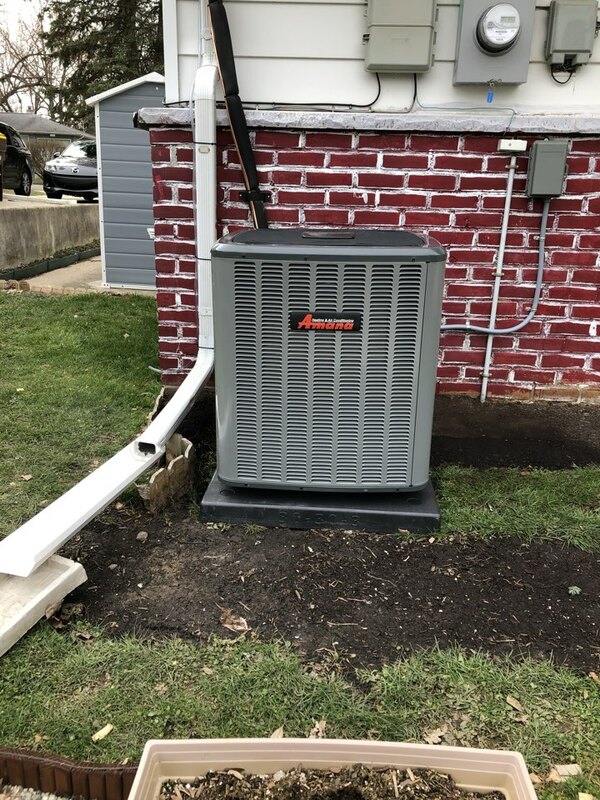 New Amana high efficiency air conditioner installation in Delta Township. New Ac and air handler. 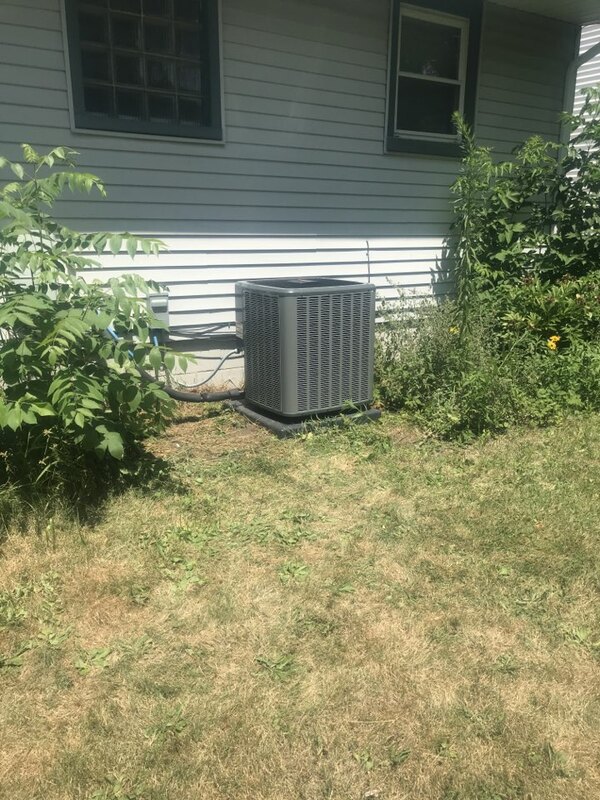 Air conditioner replacement for new homeowner in Lansing. Old unit was not working and 25% less efficient than our 15 seer Amana unit. 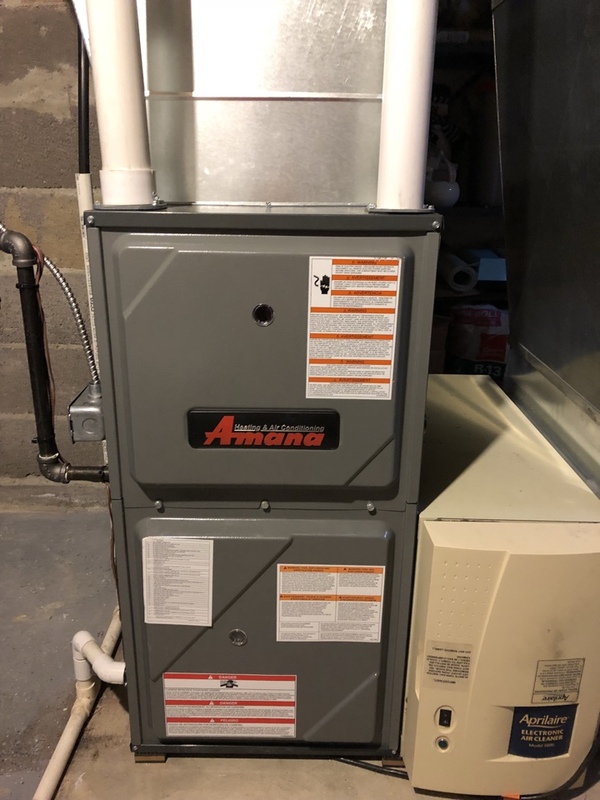 New furnace and air conditioner. Taking advantage of out great financing options. New Energi Air Elite air conditioning installation in Lansing Michigan. New Energi Air Elite high efficiency air conditioner with 10 year parts and 10 year labor coverage. New modulating furnace and high efficiency air conditioner. Also installing a power vent water heater and Regency gas fireplace insert. New furnace and air conditioner with 60 month financing. New high efficiency furnace and air conditioner with great financing options.